Summers in the Pacific Northwest are among the most beautiful in the nation. Use this season as an inspiration for your interior décor color scheme so you can experience the joys of summer year-round. Keep in mind that you can add color to more than just home accents. Using nontraditional colors for your walls, countertops, flooring and carpets can make you forget about the rain outside when the weather starts to cool. Soothing blues. Downtown’s Waterfront Park seems to constantly buzz whenever the sun is out. Use this color as a reminder of clear skies, the marinas along the Columbia and Willamette Rivers, and your favorite summer swimming holes. Soft greens. During the summer, the trees stand proud with their vibrant green foliage, and the green grass is perfect for an afternoon nap. Warming yellows. Oregonians are always thankful for a sunny day. Use the color yellow to bring the sun indoors. Flooring: When it comes to flooring, Portland residents may find it easier (or safer) to stick with traditional colors. Today’s flooring options are available in a variety of materials and colors. 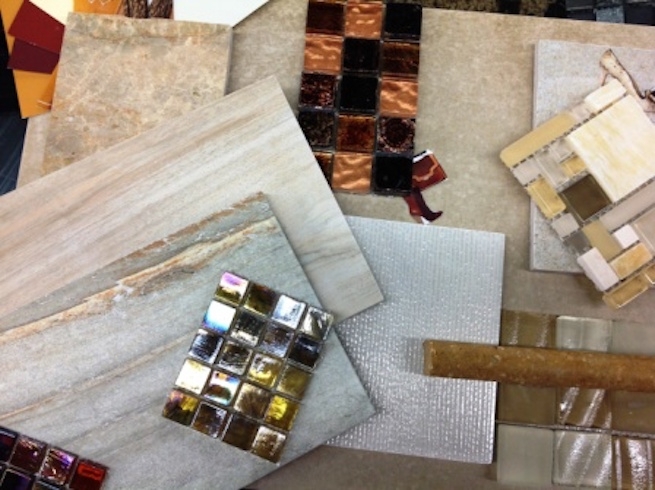 Use vinyl, cork or tile to add your favorite hues into your home. If you’re hesitant about being bold, remember that you can incorporate colorful decorative elements into your flooring. For example, by using tile, Portland homeowners can create a colorful mosaic or add a simple, colorful border to a floor. Countertops: The beauty of today’s countertops is that it’s simple to find them in the color of your choice – especially when you shop for engineered stone or laminate countertops. If you prefer to stick with a countertop that looks more traditional, consider adding a colorful backsplash to give your kitchen or bathroom and eye-popping, unique look. Carpets: Visit your local carpet store to see the different design options available. Today’s carpets come in a variety of textures that can help you add character to a room. The color of a carpet can instantly highlight the decorative aspects of a room; add softness; or become the focal point. Area Floors showcases several styles and brands of flooring to help you decide which color schemes and flooring materials will work best in your home. Come by Area Floors today to see the possibilities.